A Torah study group (also known as a chavurah) is a small group that usually meets in a home on Shabbat [the Sabbath] or a weekday evening for a study of the Torah portion or some other scriptural text. Finding a good study group will enhance your journey immensely providing rich personal fellowship and accountability along with learning through participation rather than passive observation. View our list of study groups. The Messianic community is very diverse. Although you may go to the UMJC, MBI or any other group's web site for a listing of their synagogues, FellowshipFinder.com seeks to combine all of these in a comprehensive search database. You can search our records to help you find others who are closest to your location. View congregations and synagogues on our site. One family here...a few singles there...a home study group in one town...a small congregation in another. This is the nature of the Messianic movement. G-d begins to illuminate His Word to a person and suddenly that person needs a place to fellowship and grow in their expanding faith and practice. They need community. Search this category to find others who are in need of fellowship - they may even be right down the street! You never know until you search. Start by looking at existing community wanted listings. 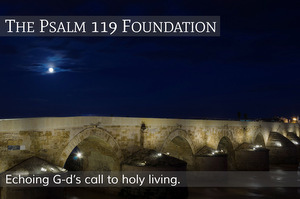 Increase your understanding of G-d's Word through groups who focus on Scriptural education. Find resources in this category who will inspire you to study more, learn more, and do more. These aren't congregations, synagogues, or yeshivot but they can help advance your study of the Bible. These are the educational resource groups we have in our directory. Judaism stresses the value of formal education to accomplish the mission of passing the faith on to the next generation. We would do well to learn from their example. Young or old, education is a crucial element to growing our faith. Although there are many educational resources available to you these days which can help in this area, consider also attending a longer-term Messianic yeshiva for more formal and in depth education. With this category, you can search for Messianic yeshiva locations all over the world and take your study of the Word to another level. Begin a deeper study with one of these groups. NOTE: We do not support listings for individuals or congregations who promote Sacred Name teachings. Please visit www.sacredname.com to learn why.